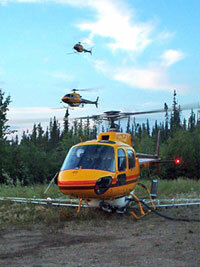 Highland Helicopters Ltd. provides its customers with one of the safest, most cost effective and reliable helicopter services in Western and Northern Canada. 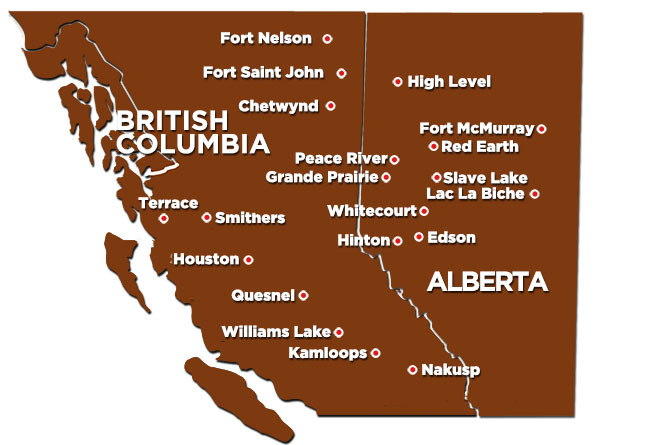 The interactive map below indicates our current base locations. Our fleet of over 35 light and intermediate turbine helicopters provides a broad range of flight services throughout our wide-reaching base network. Since 1959, Highland's experienced and professional crews have flown many thousands of demanding and challenging hours servicing resource-based industries, government, telecommunication providers and the motion picture industry. To get you into and out of some of the most rugged and remote locations in Canada, Highland operates Bell and Airbus aircraft that provide proven reliability and performance. Our fleet is maintained to exacting standards with regular daily maintenance at our bases, together with full component and airframe overhauls at our Transport Canada approved maintenance facility in Richmond, BC. To further support our maintenance efforts Highland operates an extensive parts department. Flying for CBC Canada Reads, to see the video click here.